In the last months of 2013, an iconic courtroom photo appeared in many Vietnamese language newspapers and websites across the world. 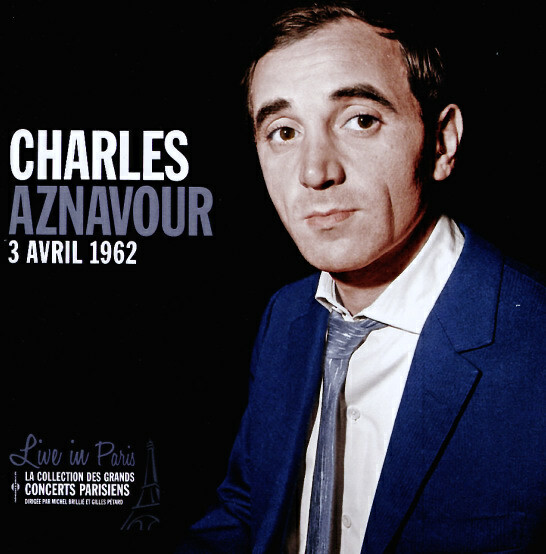 The photo shows an old man with white hair wearing a wrinkled and pinkish long sleeve shirt. As he stood slightly stooped with his hands behind his back and looking up at those who were judging him, a faint yet defiant smile graced his face. 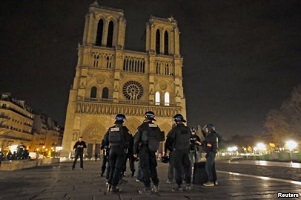 Standing close on either side of him were three grim faced members of the Public Security Forces in their green uniforms with red and gold-striped epaulets. Two, perhaps three or four more members of the same Public Security Forces can be seen sitting on benches that are customarily reserved for courtroom observers. In a country where 1 out of 6 people in the working age – 6.7 million people out of 43 million – are working directly or indirectly for a public security, secret service, or internal political control organization (2), the above iconic photo says it all. Entering the year 2014, Vietnam is a country where the State needs 7 young and robust members of the Public Security Forces to subdue a sixty-year old man. The white haired old man is Mr. Ngô Hào. When was Mr. Ngi6 Hào born? According to the Phú Yên’s People’s Court Verdict No. 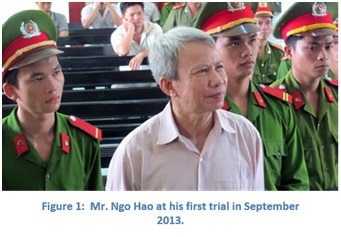 20/2013/HSTT dated September 19, 2013 (hereafter referred to as the Court Verdict) that sentenced him to 15 years in prisons and 5 years of home detention upon his release for “activities aimed at overthrowing the people’s government”, Mr. Ngô Hào was born in 1948 and thus is 66- year-old in 2014 (2). This birth year and resulting age might not be correct. Mr. Ngô Hào is a former officer of the Army of the Republic of Vietnam (ARVN). His military serial number was 73/420439. The first two digits of his military serial number, 73, indicates that he was born in 1953 because by ARVN convention, these first two digits are the last two digits of the birth year plus 20. For example, a man born in 1953 will have 73 as the first two number of his military serial number 73. The verdict also noted that Mr. Ngô Hào’s last military rank was lieutenant. This rank is appropriate. In South Vietnam before 1975, a man born between 1948 and 1953 would normally graduate from high school and pass a Baccalaureate Class I degree between the age of 18 and 22, or between the years from 1966 to 1973. If such a man joins the military, he would be sent to the ARVN Officer’s School at Thủ Đức for training. A Thủ Đức trainee would graduate in nine months with the rank of warrant officer. Then his promotion to the rank of lieutenant would be automatic after one year of good service. So, if he were born in 1948, Mr. Ngô Hào would be in the army and would have completed his officer training in 1967 at the earliest. Alternatively, if he were born in 1953, he would join the army as a warrant officer in 1972 at the latest. In any case, the unit assignment of newly minted warrant officer Ngô Hào would be ARVN Infantry Division 22. Infantry Division 22 of the ARVN was one of the most heroic and tragic divisions of South Vietnam. The division’s motto was “Pacify the Mountains and Guard the Oceans”. Its mission was to protect five Highland provinces: Bình Định, Phú Yên, Phú Bổn (now renamed Ayunpa and merged into the province of Pleiku), Kontum, and Pleiku. 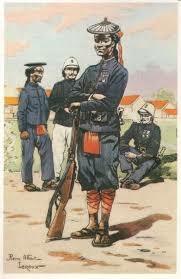 The division had four regiments and three battalions (armor, artillery, and medical support). The total number of men and women serving the Division would be around 22,000. (4). In the Easter Offensive of 1972 (January 30, 1972 to January 31, 1973, also known as “Mùa Hè Đỏ Lửa” (Flaming Red Summer) by the South Vietnamese and “Chiến Dịch Xuân Hè” (Operation Spring-Summer) by the North Vietnamese), around 18,000 of these soldiers, including Division Commander Colonel Lê Đức Đạt and most regiment and battalion commanders would be killed in action. Along with soldiers from several other ARVN divisions, these men were trying to stop a North Vietnamese army of 120,000 men that included the famed North Vietnamese Army (NVA) Third Infantry Division – the “Gold Star” Division – as they swarmed across the Bến Hải River and down the Truờng Sơn Mountain Range trying to take over the Northern and Central Highland provinces of South Vietnam (5, 6, 7). Re-constituted at a very fast pace and placed under the command of a new division commander, Colonel Phan Đình Niệm, within the next 18 months (2/1973-7/1974) Infantry Division 22 would prove its courage and fighting spirit. The Division took back most of the territories taken by the North Vietnamese. It crushed the North Vietnamese “Gold Star” Division and forced its tattered remnants to withdraw to its An Lão secret stronghold. During the last months of the war (1/1975-4/1975), Infantry Division 22 would see around 15,000 of its soldiers and most of its commanders killed in action when the Division was hastily ordered to retreat from the Central Highlands to the plains of the Mekong Delta (8, 9). During this epic and deeply tragic retreat, ARVN Infantry Division 22 had to fight an enemy that attacked it from all directions and protect more than 100,000 displaced civilians – including relatives and family members of its soldiers – who had left everything behind to join the Division’s columns in their desperate dash to the still free territories of the South. With the division he served having sustained staggering losses – around 33,000 soldiers and officers in just three years – as dawn broke on the morning of April 30, 1975 at the temporary divisional headquarters in Bến Lức, Long An Province, young Lieutenant Ngô Hào could very well be one of the Division’s most senior officers still standing and ready to serve under the “Pacify the Mountain and Guard the Oceans” banner. As a man who participated in and survived some of the fiercest battles of the Vietnam War, as a man now re-assigned to the Division’s Group 1, Personnel, to take part in yet another fast-paced re-constitution of the Division, on that fateful day, what were Lieutenant Ngô Hào, and his fellow officers and soldiers in the Divisional HQ, thinking and waiting for? Were they hoping for or dreading an order to fight to the last man and the last bullet to preserve and defend the South’s freedom? Such an order would never come. The last president of South Vietnam declared unconditional surrender around noon on April 30, 1975. The South and her 20 million citizens had fallen to the communists. On that day, or perhaps a few days or even weeks later, a young writer born and raised in the North, a woman who was one of only three survivors from a group of 40 youngsters in their late teens who volunteered to serve the regular North Vietnamese Army (NVA) troops as medics and entertainers in the underground tunnels of the Bình Trị Thiên front in Central Vietnam, Ms. Dương Thu Hương, entered the city of Saigon for the first time in her life (10). In all likelihood, she would stroll around downtown. She would browse her way through the bookstores. She would leaf through the books still occupying the shelves. She would read the titles and the names of the authors of these books. She would feast her eyes on the hundreds and hundreds of used books written in Vietnamese, French, English, or Chinese and many other languages that were still openly displayed for sale on the sidewalks of the city’s book flea markets. Sometime during her walk, emotions overcame her and she had to sit down on the sidewalk of a busy street of Saigon to burst into tears for the first time in her life. 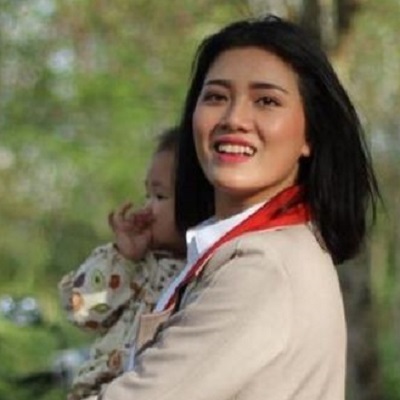 “I cried” she wrote, “not because the tall buildings of Sài Gòn overwhelmed me, but because all writers in the South could get their writings published under a regime that respects freedom…a civilized regime. And it is truly bitter when civilization lost out to barbarism. History must have misspoken, history must have been wrong. The people of Vietnam have committed the gravest mistake possible and learned a very dear lesson…” (11). Three hundred years hence, it is unlikely that a more sublime and heart rending epitaph for the ancient and all but forgotten Republic of Vietnam could be written. A few weeks after Ms. Dương Thu Hương had her epiphany, between June 13 and June 16, 1975, former ARVN lieutenant Ngô Hào voluntarily surrendered to the new local government in the province of Long An to enter re-education camp. He would spend 4 months there. Between endless hours of hard labor in the field and under horrific living conditions, he was made to sit to listen and then regurgitate in write-ups the entire contents with commentaries of 10 lectures. These lectures were on three topics: “The Crimes of the US and the South Vietnamese Governments”, “The theory of Socialism”, and “the Lenient Policy of the Communist Party of Vietnam and the Government of Vietnam (GVN)” (12). It appeared that the 4-month long and forced attempt to re-educate former lieutenant Ngô Hào failed utterly. According to the Court Verdict No. 20/2013/HSTT dated September 19, 2013 and issued by the People’s Court of Phú Yên Province, former Lieutenant Ngô Hào continued to fight for the ideals of South Vietnam by attempting to establish and lead a political organization called the “Vietnam Alliance Party.” Because of this attempt, Mr. Ngô Hào was arrested and jailed without trial for seven months, from March 1977 to October 1977 (13). It is worth pointing out here that what Mr. Ngô Hào did was not illegal. It was, as a matter of fact, encouraged by the state. Article 25 of the Constitution of 1959 of the People’s Democratic Republic of Vietnam, the constitution in force in both North and South in 1977, specifically states: “Citizens of the Democratic Republic of Vietnam have the rights to freedom of speech, press, association, and demonstration. The State guarantees that material conditions for exercising these rights are available to the people so that they can enjoy them” (14). In this matter, the State acted illegally and anti-constitutionally when it arrested and jailed Mr. Ngô Hào without trial for exercising his constitutional rights. In any case, if actions are the measures by which a man’s heart and intellect could be judged, great clarity about Mr. Ngô Hào’s was obtained. His intellect was more than sound and his heart were more than brave. He had willingly risked his life by acting within his constitutional rights to defend the ideals of freedom for not just the South, but also of the North. What motivated Mr. Ngô Hào to do what his did? He alone knows. 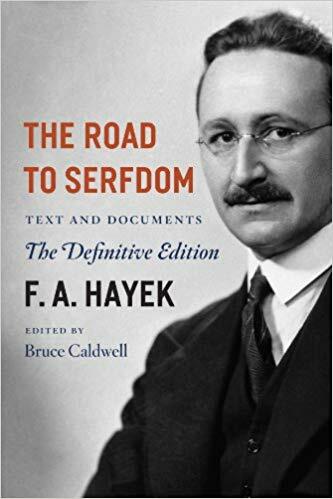 But perhaps all he did was to try to keep faith with the role that history has most cruelly thrust upon him – that of one of the rare survivors and inheritors of the dreams of those 33,000 men and women still marching on that long and endless gray line toward some unknown horizon in the nether world. 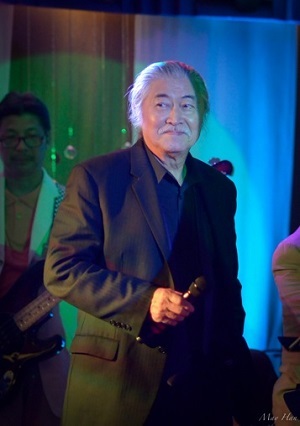 What did Mr. Ngô Hào do in the next 36 years, from 1977 to 2013? The answer to the above question will not be found in the Court Verdict. About his personal life, the verdict noted only that Mr. Ngô Hào was a high school graduate, was a lieutenant in the Army of the Republic of Vietnam, was married with children, and that his first son, Mr. Ngô Minh Tâm, born in 1992, was present in the courtroom. It gave no additional details on Mr. Ngô Hào’s personal life during the 31 years from 1977 to 2008. In reality, the answer to the above question is quite simple. Mr. Ngô Hào tried and found a way to overcome his fate. He chose to lead a simple and normal life. He married a peasant woman, had two sons, and devoted all of his mental and physical energy to pursue happiness for his family and himself by doing “whatever people hired him to do.” In an interview with VRN (Viet Nam Redemptorist’s News), Mr. Ngô Hào’s wife, Mrs. Nguyen Thị Kim Lan, said:” My husband did whatever people hired him to do. Starting in 2007, he wrote letters and petitions for people who had lost their land, for people such as Mr. Nguyễn Văn Lía of the Hoà Hảo Buddhist Faith who were repressed and denied the right to practice their religion, and also letters petitioning the government to release 14 prisoners of conscience who were practitioners of the Hoà Hảo Buddhist Faith. (15). When fact checking with those who knew Mr. Ngô Hào, what he did for 31 years included working as a peasant in the rice fields, or as a carpenter, a mason, a porter, a mover of heavy objects, a bicycle and motorcycle repairman, and a repairman of household consumer goods such as radio, electric fans, and sewing machines. He also sold refreshments at roadside stalls. From the above few facts, the broad outlines of Mr. Ngô Hào’s life after his arrest in 1977 begin to emerge and solidify. As a former officer of the ARVN and a man once jailed for his open opposition to the new communist regime, he was unemployable by any government organization, state-owned or even private company, no matter what were his qualifications. The only choice left to him was to accept his fate, and to do whatever honest job he could get his hands on to provide and care for his wife and his sons. It is admirable that he was successful where it mattered when doing “whatever people hired him to do”. With his wife, he raised his sons to become good and outstanding young people. The two sons of the Ngô Hào’s are well educated, conscientious, and imbued with the traditional and humanistic values of Vietnam. These includes respect your mother and father, lead a moral life, practice your religion, and love your country and all her people. The younger son of Mr. Ngô Hào dropped out of high school to work full time right after his arrest. He decided to do so and acted immediately to pre-empt his brother, a brilliant junior at TPHCM (Ho Chi Minh City) Polytechnic University, from dropping out himself. The older brother has now tutored more children after school to earn additional money to help his parents (16). Mrs. Nguyen Thị Kim Lan, the wife of Mr. Ngô Hào, is the source of Mr. Ngô Hào’s successes. 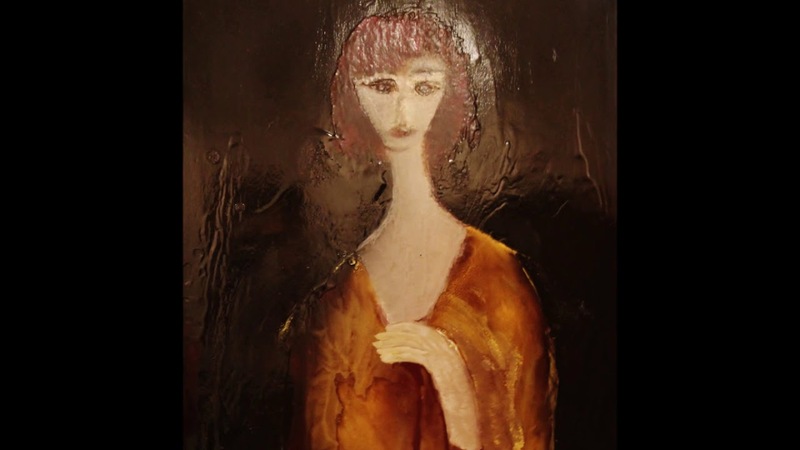 She is a peasant, a simple and resilient woman imbued with a clear sense of what is right and what is wrong. Like any peasant, she lives according to ancient Vietnamese precepts. She has an extraordinary ability to accept and adapt to hardship. 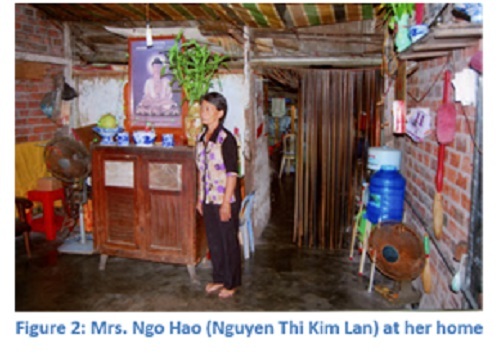 To get a sense of her personality, all we need to do is glance at the three photos of the two-room brick house with tin roofs where the Ngô Hào’s spent the last three decades or so of their lives. 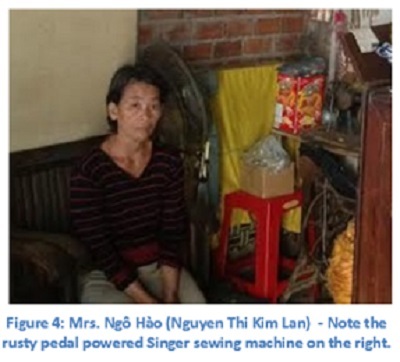 In the front room of the house, or its “living room” – even though there aren’t any chair or table for guests – is a very old tea chest, and some used and rusted out consumer goods namely two electric fans and a Singer sewing machine with a foot-pedal (Figure 3). The tea chest also serves as an altar. One the altar are incense burners, a large framed Buddha icon, a vase with fresh-cut flowers, and a pedestal plate with a big grapefruit. Even though the living room is barely furnished, its earthen floor is squeaky clean. The room behind the living room is the bedroom, which is also used as a storeroom thanks to a makeshift rafter. This room has a small table and a couple of shelves filled with stuff. On the rafter are boxes and bundles. When visiting this house, Mr. Võ Văn Bửu, an adherent of the Hòa Hảo Buddhist Faith, was moved to say: “This is a “house” that is not really a house!” (17). Time passed quickly for a man who had to “do whatever people hired him to do” to support a family that lived in a “house that is not a house”. With no one noticing, thirty some years went by and the year 2007 came. In 2007, the sons of Mr. and Mrs. Ngô Hào became village teenagers. They would be old enough to fend for themselves. In 2007, the internet became accessible to close to 17 million Vietnamese, or around 20% of the entire population of Vietnam (18). For these 17 million Vietnamese, the internet opened up a totally new world that is virtual, open, global, intoxicating and at times very dangerous. Mr. Ngô Hào embraced the Internet. Like a man who hid deep in his heart “the still purple wounds of defeat” and who would go to sleep trying find peace only to see “in his dreams a yellow flag fluttering and three strands of dried blood choking his heart” – as former ARVN soldier and a poet, Mr. Hà Huyền Chi, once put it ten years after he made his way to the US (19) – Mr. Ngô Hào took to the internet looking for kindred spirits to unburden his heavy heart. He surfed the web, read widely and kept up with the news from the Vietnamese diaspora. He used numerous email accounts and pseudonyms to participate in online forums. He contacted and exchanged emails with people whom he believed shared his passions. He carried out a small number of activities at the request of some overseas Vietnamese. These activities and contacts must have caught the attention of a few interested parties. Some of them must have been agents of Ministry of Public Security, government-paid “opinion shapers”, agitators and informers. In March 2013, agents of Public Security arrested Mr. Ngô Hào. Article 79 – The crime of engaging in activities aimed at overthrowing the people’s government. Section 1: A citizen of Vietnam who colludes with a foreign country to endanger the independence, sovereignty, unity and territorial integrity of the Fatherland, the national defense forces, the socialist regime and the government of the Socialist Republic of Vietnam, shall receive as punishment jail terms ranging from twelve to twenty years, or prison for life, or the death penalty. Article 46 – Mitigating circumstances for criminal responsibilities, Section 1: The following circumstances might mitigate and reduce the criminal responsibilities: Point p: The culprit earnestly confesses, shows remorse and desires to reform. Article 92 – Additional punishments – A person found guilty according to the provisions of this Chapter may have his/her citizenship revoked for a period ranging from one to five years, and may be subjected to home detention or denial of residency ranging from one to five years, or confiscation of some of all of his/her belongings. As seen, Section 1, Article 79 of the Criminal Code was the only legal basis used by the government to prosecute and convict Mr. Ngô Hào, while Articles 46 and 92 were applicable only after the government had found Mr. Ngo Hào guilty per Article 79. These Articles 46 and 92 will not be discussed further. The prosecution made two major charges against Mr. Ngô Hào. The first charge alleged he colluded with a “foreign country to endanger the independence, sovereignty, unity and territorial integrity of the Fatherland, the national defense forces, the socialist regime and the government of the Socialist Republic of Vietnam.” The charge named two entities, Block 8046 and a “Government of Vietnam in Exile” as the foreign countries Mr. Ngô Hào colluded with. The second charge alleged that Mr. Ngô Hào “stored, wrote, distributed, and transmitted numerous document with contents aimed at misrepresenting the actions and pronouncements of the government and slandering the Leadership”. We must point out here that this second major charge doesn’t appear to relate to the first charge and is not within the scope of Section 1 of Article 79 of the Criminal Code. We will now discuss and evaluate each one of these two key charges. This charge has 3 major components and we will examine in detail each one of them. 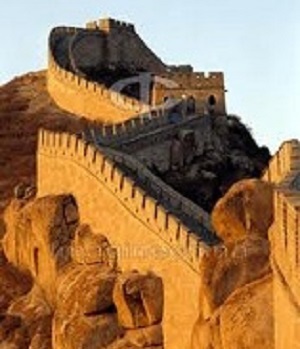 Foreign country – We will recall the common-sense definition of what is as a foreign country. 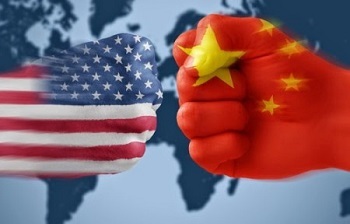 Block 8046 – We will describe what this organization is, determine if it qualifies to be classified as a foreign country, and ascertain if it could be a threat to the government of the Socialist Republic of Vietnam. The “governments of Vietnam in exile” – we will describe the known governments in exile, determine if they qualify as foreign country, and ascertain if they are capable of even attempting to endanger or overthrow the government of the Socialist Republic of Vietnam. We will also review a related charge, namely that Mr. Ngô Hào searched for 40 weapons containers to be used in an uprising against the Government. We will prove that this charge is ludicrous. 2.1.1 What is a “Foreign Country”? 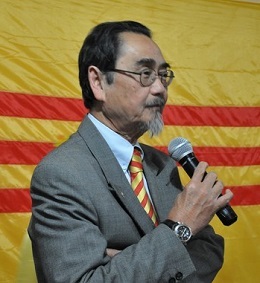 The government accused Mr. Ngô Hào of “colluding with a foreign country to endanger the independence, sovereignty, unity, and territorial integrity of the Fatherland, the defense forces, the socialist regime, and the government of the Socialist Republic of Vietnam.” If the parties Mr. Ngô Hào was accused of “colluding with” are shown not to be “foreign countries” or can’t possibly “foreign countries”, then the charges against him collapse, and the court must dismiss Mr. Ngô Hào’s case and free him immediately. We believe this is the case for the reasons presented below. We start our defense of Mr. Ngô Hào by recalling the standard definition of a proper foreign country. Such a country is one that is not your country, obviously, and also should be one that has a constitution, a legal system and institutions such as the courts, and the defense forces to protect and defend its way of life and territorial integrity. 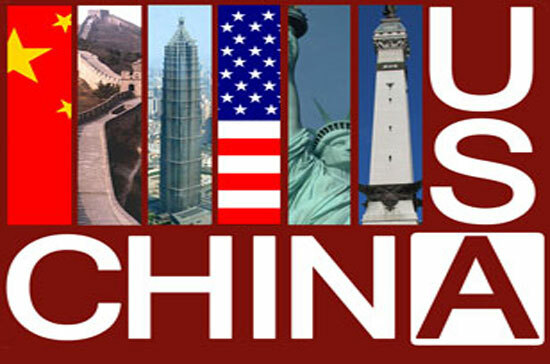 Examples of such countries are China, France, Germany, the United States of America, and generally any member countries in good standing of the United Nations. Next, we consider how and when evidence resulting from a foreign country’s interactions with a third party, such as Mr. Ngô Hào, could be used in a court of law. To be admissible in a normal court of law, such evidence must come from a provable official – or someone officially affiliated with the foreign country – who was also acting in his or her official capacity. As everyone knows, words and deeds coming from a foreign country are official only when they are said or performed by individuals and/or institutions that are duly certified and authorized by the foreign country’s legal system and institutions. In most democratic nations, such individuals and institutions are the president, his or her ministers, the heads of the agencies such as the central banks and investigative bureaus, and individual employees of the government when they act officially and on direct, traceable and legal orders from their superiors. From the above discussion, it is cleat that private sector organizations such Block 8046 and all “governments of Vietnam in exile” that the government has charged Mr. Ngô Hào of communicating and colluding with – can’t possibly be called “foreign countries” themselves. These organizations are formed by overseas Vietnamese. Some of them may even work for the government, but they are not government official acting in any official capacity when they speak or act on behalf of the private sector organizations to which they belong. This being the case, whatever evidence the government has regarding the interactions between Mr. Ngô Hào and these individuals can’t be admitted in court as evidence of Mr. Ngô Hào colluding with a “foreign countries”. In effect, no foreign countries are involved, and no foreign officials acting in their official capacities were communicating and “colluding” with Mr. Ngô Hào. Had Section 1 of Article 79 of the Criminal Code use these words: “foreign country and/or residents of such a foreign country and/or any individual and/or organization residing in a foreign country” in place of just “foreign country”, maybe then the government could have a case against Mr. Ngô Hào. But that is not the case. Written in black and white in Section 1 of Article 79 of the Criminal Code are these two simple, short words: “a foreign country” as in the phrase “colluding with a foreign country.” Therefore, the conclusion that must be reached is: because Mr. Ngô Hào has not colluded with any entity or individual from a foreign country that meets the customary definition of a “foreign country”, the charge against him can’t hold and the law can’t apply to his case. If the judge was fair, he must dismiss the case against Mr. Ngô Hào and release him immediately, as the only legal basis the government used to prosecute him is not applicable. 2.1.2 – The entities Mr. Ngô Hào was accused of colluding or having a relationship with can’t possibly threaten the GVN. The GVN believed they do and named two such entities. The first one is Block 8046 and the second one is a “government of Vietnam in exile”. Block 8046 is one of the first civil society organization in Vietnam. Established on August 4, 2006 (thence its name, block 8046) by 118 people working in 18 different professions and residing in 14 major cities of Vietnam (Mostly Huế-Thừa Thiên where 43 of them hail from), Block 8046 is a NGO (Non-Governmental-Organization) not affiliated with the government in any way. Its objectives are consistent with the constitution of Vietnam and its operations are entirely legal. At the present time, some members of Block 8046 reside outside of Vietnam. Notable among these are Mr. Nguyễn Chính Kết, one of its founding members who was expelled to the US several years ago and Mr. Nguyễn Quang Duy, now a resident of Australia who is well known for flooding the email in-boxes of the Vietnamese diaspora with his newsletters. Freedom of Speech in accordance with the International Covenant on Civil and Political Rights, ratified by the United Nations on December 16, 1966 and by the Socialist Republic of Viet Nam on September 24, 1982, article 19.2: “Everyone shall have the right to freedom of expression; this right shall include freedom to seek, receive and impart information and ideas of all kinds, regardless of frontiers, either orally, in writing or in print, in the form of art, or through any other media of his choice.” This means that political parties, organizations and individuals have the right to freedom of speech via newspapers, radio, television, or any other form of mass media, without requiring the permission of the government. Freedom of meeting, of creating associations and political parties, and of voting in and running for elections in accordance with the International Covenant on Civil and Political Rights, article 25: “Every citizen shall have the right and the opportunity… (a) to take part in the conduct of public affairs, directly or through freely chosen representatives ; (b) to vote and to be elected at genuine periodic elections which shall be by universal and equal suffrage and shall be held by secret ballot, guaranteeing the free expression of the will of the electors.” This means that political parties of all ideologies may compete fairly in an authentic pluralist, multi-party democracy. Freedom to organize trade unions and legitimate strikes in accordance with the International Covenant on Economic, Social and Cultural Rights, ratified by the United Nations on December 16, 1966 and by the Socialist Republic of Viet Nam on September 24, 1982, articles 7 and 8: “The States Parties to the present Covenant recognize the right of everyone to the enjoyment of just and favorable conditions of work… The right of everyone to form trade unions and join the trade union of his choice, subject only to the rules of the organization concerned, for the promotion and protection of his economic and social interests…. (with) the right to strike.” These trade unions must be organizations free to act independently; there must never be any kind of trade union that benefits solely the government at the expense of the workers. Freedom of religion according to the International Covenant on Civil and Political Rights, article 18: “Everyone shall have the right to freedom of thought, conscience and religion. 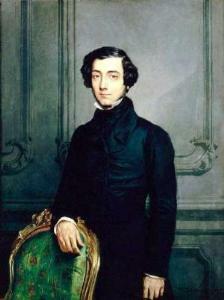 This right shall include freedom to have or to adopt a religion or belief of his choice, and freedom, either individually or in community with others and in public or private, to manifest his religion or belief in worship, observance, practice and teaching.” These religions must be independent in their activities and cannot be transformed into instruments of the government. Article 4 of the 1946 Constitution: “A Citizen of Vietnam has freedom of speech, freedom of the press, freedom of association and assembly, freedom of religion, freedom of residence, and freedom of travel inside and outside of the country unconditionally”. From the qualifiers “unconditionally”, “guarantees” and “the laws that “shall stipulate the implementation of these rights”, the results are out there for all to see. Just for the 68 founders of the Association of Former Prisoners of Conscience of Vietnam, altogether there are more than 324 years in prisons, 9 years of suspended jail terms, and 83.5 years of home detention! Only 68 people! And more than 3 centuries in prison! Almost a century in detention! Even if these were just one day, or one hour, they are more than enough to shame and exclude Vietnam from the community of civilized countries! Is fully compliant with the provisions of the constitution and the laws of Vietnam. 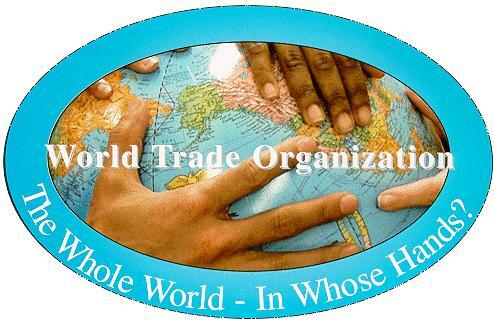 Is dedicated to achieving its goals through peaceful and non-violent means. Is fighting only for the basic human rights as these were established in the successive constitutions of Vietnam from 1946 to 2013, and also in numerous international conventions that Vietnam has ratified. Has no capability whatsoever to overthrown, or even threaten to overthrow, the government of Vietnam. Let’s turn our attention now to the so called “exile governments” of Vietnam by considering their nature, the government of Vietnam’s attitude toward them, and how credible are the charges alleged against Mr. Ngô Hào. 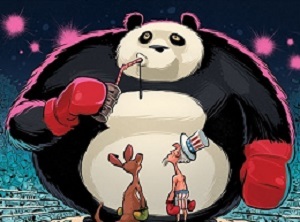 Since 1975, Vietnamese in the US have established 4 governments in exile. A Provisional Nationalist Government of Vietnam (PNGVN). The PNGVN was established in 1990 by an organization that called itself the “New Movement for Democracy in Vietnam”. It is still operational in 2014. Its leader and “prime minister” is Mr. Đào Minh Quân. In October 2013, the PNGVN announced at its website a program to give a “credit and identity card” to each and every Vietnamese. To promote the program, the PNGVN will give $500 USD to the first 500 applicants. To qualify for the giveaway, these applicants will also need to participate in an activity described as “stomp on the face of the Vietnamese traitor Ho Chi Minh”. The PNGVN is not a bank or a major business – the two types of entities that might legally issue credit or debit cards under the strict rules and regulations of the US banking and financial system. It is also not a government or law enforcement entity or even a major employer able to legally issue and properly manage identify cards. For the PNGVN to offer a credit card that is also an identity card to all 90 million citizens of Vietnam is incomprehensible action that speaks volumes about the rationality of its leadership team (27). ‘A “Revolutionary Government of Free Vietnam”. This government was created by Mr. Nguyễn Hửu Chánh in 1995. It began to disintegrate in the 1998-2002 timeframe due to internal disputes. Since then, it has apparently ceased all operations (28). A “Republic of Vietnam Government” (RVNG). This government was created in 2008 by four former official of the Republic of Vietnam. They are: Mr. Nguyễn Bá Cẩn, former prime minister of the Republic of Vietnam (RVN), Mr. Nguyễn Văn Chức, former RVN major-general and senator, Mr. Lý Tòng Bá, former RVN major-general, and Mr. Hồ Văn Sinh, chairman of the RVN Foundation. This RVNG is the government in exile that Mr. Ngô Hào is accused of having a relationship with. At the present time, the RVNG is no longer operational or in the process of dissolution after Mr. Nguyễn Bá Cẩn passed away in 2009 (29). 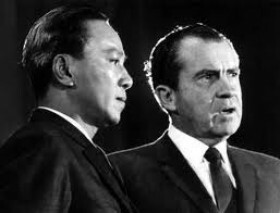 A “Temporary Leadership Commission for the Republic of Vietnam”. This commission was elected by about 300 people at an “Overseas Diên Hồng Conference” in 2012. It is still operational and appears to be a re-incarnation of the RVNG entity discussed earlier. In effect, the daughter of the late Mr. Nguyễn Bá Cẩn and Mr. Hồ Văn Sinh are currently the key leaders of this organization (30). The commission doesn’t consider itself as a government in exile. However, it works closely with the RVN Foundation to demand that the UN and the countries that signed the 1973 Paris Peace Treaty faithfully implement it. Such a demand is justified because, as a member of the commission, lawyer Lâm Chân Thọ stated: “Legally, the Republic of Vietnam still exists” (30). 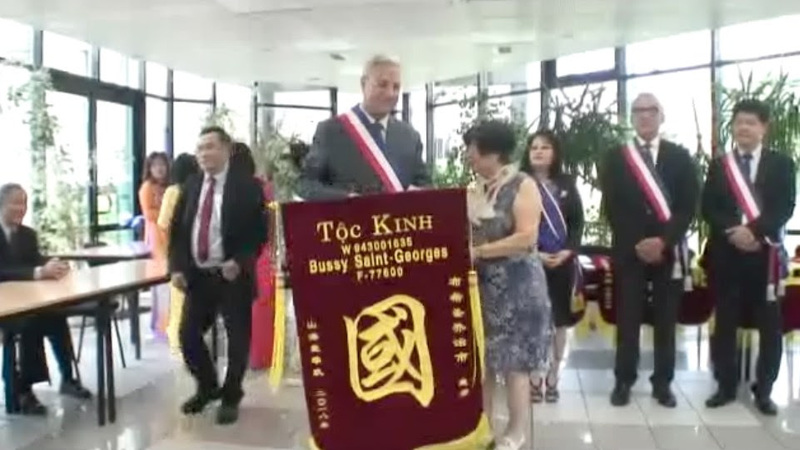 The debate on the viability and feasibility of the approach championed by the RVN Commission – the so-called RVN solution – is currently a hot topic in the Vietnamese diaspora and perhaps only time will tell (32, 33, 34). Regarding the above governments in exile, three undeniable facts exist. First, they aren’t “foreign countries” as referenced to in Section 1 of Article 79 of the Criminal Code. We already discussed this “foreign country” issue in Section 2.1.1, “What is a foreign Country”. Second, they are led by old and mostly retired men in their late sixties, seventies or even eighties. Their followers they have are exceedingly small in number. None has more than a handful, at best a hundred. As such, these governments in exile are can’t be considered as serious opponents to the GVN. And third, what is the attitude of the GVN regarding these governments in exile? We can only qualify this attitude as comical and pitiful. The GVN which is led by Communist Party of Vietnam (CPV) has ruled over 90 million Vietnamese with an iron hand for more than seven decades. Yet, the same GVN spends millions of dollars and sends hundreds or even thousands of their best and brightest overseas just to fight against a few dissident organizations. There can be only one possible explanation for such an attitude. The most bloodthirst tyrants, the cruelest oppressors, the vilest traitors to a country are also people who live in the deepest fear behind the fiercest and most heroic masks. They are afraid even of their own shadows. Because they know all to well what the people, with their bare hands, will do to them the moment power escapes from their grasp. Ask yourself this simple question. Can one old man in his mid-sixties with white hair inside the country and a few retired and even older men in their seventies and eighties, many of whom are using wheelchairs while most would need a walking stick just to get around, could these men be the ones who will fly to Thailand, establish a secret military base and from there, successfully stage and execute a lightning re-conquest of the South and overthrow the GVN? Are these the men who will do what the United States of America couldn’t do even after having spent 111 billion dollars in the 1868-1975 timeframe (the equivalent of 798 billion dollars in 2011 prices), sent 8,477,000 soldiers into the battlefields of South Vietnam, and lost 58,200 men killed in action in the years between 1964-1975? (36). 2.1.2.3 – On the accusation that Mr. Ngô Hào searched for 40 weapon containers. Concerning the credibility of several other accusations the GVN alleged against Mr. Ngô Hào, it suffices at this point is to consider the most sensational one, namely the allegation that he was directed by Mr. Nguyễn Văn Chức of the RVNG exile government to search for 40 weapon containers hidden by Colonel Nguyễn Văn Thinh, the last governor of Gò Công Province. First, let’s review some basic facts. An ISO container used by the US Armed Forces in Vietnam, commonly known by the Vietnamese as a CONEX is a steel box with dimensions of 20ft x 8ft x 8ft (6m x 2.4 m x2.4m). When empty, the container weighs 6,740 lbs. (2,065kg). When fully loaded, it weighs up to 46,170lbs (20,943kg). To move 40 such containers fully loaded with weapons in a single operation, Colonel Thinh must have at his disposal 40 specialized trucks specially configured to transport containers and container loading equipment. Next, let’s ask ourselves if Colonel Thinh could have gathered 40 such weapon containers in the last days of the war and enough time to hide them. Starting in mid-1974, with the Americans pulling out and the Pentagon under orders from Congress to halt all weapon shipments to South Vietnam, ARVN soldiers were running out of weapons of all types including bullets. They would need all the weapons they could get their hands on. As a provincial governor it would be most unlikely for Colonel Thinh to deny his men the weapons they need to defend Gò Công as the enemy closed in. The above observations make the existence of 40 unused weapon containers, or about 84 metric tons of weapons of all types most unlikely. Now consider the work that has to be done to hide these containers underground. To do so, colonel Thinh would need at least a week or two and many excavators to dig and then cover up a hole big enough to contain all 40 containers. Given that a single container has a volume of 20’x8’x8’ or 1280 cubic feet, to bury 40 of them would require hole 51,200 cubic feet in size, which translate into 38’x38’x38’ hole in the ground. This is a big hole. It is not a trivial to dig this hole, whether by hand or by using an excavator. In the last few days before April 30, 1975, if Colonel Thinh wasn’t already fleeing the country along with many of his fellow high-ranking officers, where and when could he find the equipment, manpower and time to start and finish the job of collecting the weapon containers, transporting them to a site, dig a very big hole, and then burying them in the hole? Additionally, these 40 weapon containers, if piled up on the ground, would look like a small mountain. On the relatively flat plains of South Vietnam, how could 40 such containers stay undiscovered over the last 39 years? Even if Mr. Ngô Hào were adventurous enough to make his way to a forest and start searching for these 40 containers, the most damning thing we can say about his action is he appeared to be a little strange or obsessive. This being the case, if he were to live in a civilized society, we need to pity him and help him seek treatment rather than criminalize him and send to prison for 15 years. But then, who said that Vietnamese society today under the heel of a communist dictatorship is a civilized one? From the above analyses, we can conclude that the first charge the GVN made against Mr. Ngô Hào, namely the one that he colluded with a foreign country to overthrow the GVN”, is utterly unfounded and at times laughable. Block 8046 is not a “foreign country”. It is only a civil society organization with members inside and outside of the country. 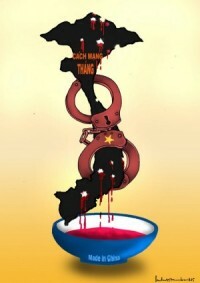 It uses only non-violent and peaceful means to fight for the basic human rights of all Vietnamese, as the rights are. It has no capability whatsoever to overthrow the GVN. The governments in exile, besides not being a “foreign country” and because they essentially consisted of a handful of old Vietnamese in their seventies and eighties, they can’t possibly have any capability to overthrow the GVN. Regarding a major charge about Mr. Ngô Hào searching for 40 weapon containers, on close examination this charge is nothing more than a hallucination experienced by the GVN prosecutor. 2.2.1 Did Mr. Ngô Hào “stores, writes, distributes, and hands out numerous documents…”? The GVN charged that Mr. Ngô Hào of “stores”, “distributes” and “hands out” numerous document. We will prove that, from a technical or information technology point of view, it is not possible for Mr. Ngô Hào to actually “store”, distribute”, and “hand out” his posts for one simple reason: the web forum and the reader of Mr. Ngô Hào’s post did it all, as explained below. First, let’s review some basic facts about a web forum. Technically, a web forum is a web-enabled database management system. As such, it has two major components: the database and the database management system software (or DBMS in short). The database is a collection of data tables where information is stored. These tables contain information such as the identity of forum members, their posts and information the DBMS needs to manage the database. The DBMS is the software that manages the database. It processes commands to fetch data given by the forum user at the interface screens. These screens were developed by the forum developers and administrators for the forum users. Next let’s consider how a forum user might interact with the forum. When Mr. Ngô Hào drafts a post using the user interface provided by the DBMS, the DBMS stores his post in a temporary record in a database table. Mr. Ngô Hào never did personally and with his own hand store the draft of the post. It is true that he wrote it, but he never stored it himself. The DBMS did it. When Mr. Ngô Hào decides to save a post, he clicked on the save button of the user interface provided by the DBMS. This clicking action sends an order to the DBMS to save the post. What the DBMS does in response to this request is to changes the attributes of the temporary record where the draft was stored to make it a permanent post. The DBMS also displays or lists the header or title of Mr. Ngô Hào’s post on a web page reserved for new posts. Any forum member can see this list. During the process of saving a post, never did Mr. Ngô Hào personally and with his own hand finalize and store the final version of his post. The DBMS did it. When a web forum member wants to read Mr. Ngô Hào’s post, this member must select Mr. Ngô Hào’s post, i.e., send a request to the DBMS. The DBMS will fetch the data and formatting information related to requested post, package them, and send the package to the browser installed at the computer of the forum member. The browser software then displays Mr. Ngô Hào’s post using the information provided in the data package the DBMS sent. When a forum user reads a post from Mr. Ngô Hào, never did Mr. Ngô Hào personally and with his own hand make the request, send the post, and display it on the web forum user computing device screen to be read. The forum user and the DBMS did it. What the above means is the web forum DBMS does all the “storing”, “distributing” and “handing out” actions. To understand the previous statement, it helps to follow each one of the key steps in the process through which a forum member generates a post a document and then the post is read by another forum member. Step 1: Writing. What actually happens when a web forum member posts a message this: he uses the user interface provided by the DBMS to any forum member and his internet connected device to send the post to the web forum. There, the web forum DBMS accepts and stores the content of the post in a temporary data record of the database. Step 2: the poster hit the “Save” or “Send” button. What happens here is the DBMS changes certain attributes of the temporary record to make it permanent data record. These changes in the attribute of the temporary data record to turn it into a permanent data record let the DBMS knows that from now one, the record can’t be changed or modified. Additionally, the DBMS displays a message telling all forum members that a new post from Mr. Ngô Hào has just been added. Typically, the message from the DBMS would contain the header of Mr. Ngô Hào message and maybe a very short excerpt from his main document. Step 3: A requester wants to read the post from Mr. Ngô Hào. When someone wants to read Mr. Ngô Hào’s post, this person, also known as a requester, must request the web forum to send the full content of the message to his/her computing device which then will receive, process, and display the message. When considering the above three steps, nowhere did Mr. Ngô Hào actually, physically, or even virtually, do anything to “store, display, and hand out” information he created. The web forum DBMS did all the “storing” and “handing out”. The requester, i.e., the person reading Mr. Ngô Hào’s post has to physically request it by clicking on an “Open” button or equivalent. For the above technical reasons, in the 21st century and the age of the @, almost any person living anywhere on earth can express his or her idea to almost everyone else instantaneously and without having to do any “storing”, “disseminating” and “transferring” action. All he or she needs to do is to open a Tweeter account. Let’s take an example to prove the above. The famous singer Kate Ferry (Typical song: Roar, with more than 686 million YouTube views as of November 2014) is someone with more than 51.3 million people following her Twitter account (@kateperry https://tweetter/kateperry). Assuming, just for the sake of argument, that one day she tweets something that the Government of Vietnam considers extremely insulting. Who among us would think that the GVN would ask Interpol to arrest her and bring her back to Vietnam for trial under Article 79 of the Criminal Code because she did “store”, “disseminate”, and “transfer” contents that “slander the GVN and badmouth the regime and the party’s leadership”? Is someone thoughts so, friends and neighbors would consider that person a little deranged. Yet, what she did is exactly the same as what Mr. Ngô Hào was alleged to do, and she did so 51.3 million times, once per follower of her Twitter account. The government may point to devices such as memory sticks and hard drives that Mr. Ngô Hào used to store his posts or download the posts of others, and accuse him of “storing”. However, “storing” without “distributing” and transferring” simply means he used these devices to enhance his natural memory only. In summary, we must consider that the charge the government’s alleged against Mr. Ngô Hào, namely that he “stored”, distributed” and transferred” documents, are groundless. Let’s consider now the “bad contents” component of the charge. 2.2.2. Did Mr. Ngô Hào create “bad contents”? We have shown that, from an information technology point of view, Mr. Ngô Hào didn’t “store”, “distribute”, and “hand out” any information. Assuming that the GVN still persists in accusing Mr. Ngô Hào of having performed these actions, the GVN must prove next that the contents he “stored”, “distributed”, and “handed out” grossly misrepresent the GVN point of view” or “slanders the leadership” and so on. To put it in another way, no one should be prosecuted for “storing”, “distributing” and “handing out” bad contents of they are publicly available documents created by the GVN, the CPV or anyone else. Examples of such documents are the Constitution, the Civil and Criminal Codes, a joke or an innocuous report on life in general. Additionally, in our defense of Mr. Ngô Hào we will focus on the meaning of the words “bad contents.” In these two words, there are two concepts: “contents” and “bad.” We will first discuss if Mr. Ngô Hào create any contents, and then consider what could be labeled as “bad”. Even if Mr. Ngô Hào created contents, if such contents couldn’t be called “bad”, then the second charge against him is groundless, and the state can’t prosecute based on this second charge. 2.2.2.1 Did Mr. Ngô Hào create “contents”? 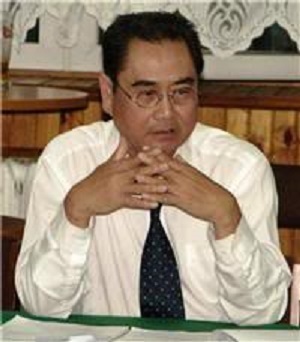 Mr. Ngô Hào was active in VN-Politics (Diển Đàn Chính Trị), a Vietnamese-language Yahoo public discussion group. This group has close to 16,000 active participants as of February 2014. Of these 16,000 forum users, it goes without saying that many would be agents of the GVN Public Security Forces. These agents would be the ones who fingered him and helped the state collect the evidence that led to his arrest. 27% of his posts were forwarding posts, i.e., he forwarded a text, a link to a radio or video, or any combination of the above without any comments. 9% of the posts were comments on current events. These comments are usually brief and enthusiastic statements regarding some event or people he liked. 64% of the posts were to do forward something and also to comment of the forwarded materials. 2.2.2.2 Did Mr. Ngô Hào Produced “Bad Contents”? Section 1 or Article 79 of the criminal code contains absolutely no direct definition or even an implied reference to content that violates some legal norm, i.e., ‘bad’ content. If the law doesn’t stipulate, the prosecution can’t prosecute. This is an elementary legal principle. It follows that, although Mr. Ngô Hào did create content (first component of the second charge) because the law doesn’t say what “bad” content is (the second component of the second charge), the second charge can’t be constituted and therefore Mr. Ngô Hào can’t be prosecuted. On this point alone, the second charge against Mr. Ngô Hào must be dismissed. The GVN might retort that the law can’t possibly specify each and every unlawful content regardless of what Section 1 of Article 79 says. Indeed, the GVN can contend that a court when applying the law must rely on precedence. Given that hundreds and thousands have been prosecuted and harshly jailed for producing contents that the GVN consider as “bad”, Mr. Ngô Hào certainly could be prosecuted, never mind what Section1 or Article 79 of the Criminal Code say, or actually doesn’t say, about “bad” contents. The GVN’s retort is not wrong. It is just simply irrelevant for one simple reason. In a civilized society, the right of the government to establish what is good and what is bad in public or private speeches is very limited. The rights to think freely, to speak freely, to choose and follow or not to follow a religion, and to assemble peacefully are the fundamental birthrights of any human being. No one, no government, no constitutions, no laws can strip or restrict a citizen his or her right to exercise these rights. Exceptions, of course, may exist in time of war and strife’s, when the state feels that the freedom of the people may need to be restricted; but then, any such restriction must be approved by a majority of the people themselves through their elected representatives. In any case, no government can strip their citizens of their rights using a two-step process: first by defining as “bad” certain ways of expressing these rights, and then prosecute and punish citizens when they exercise precisely these ‘bad’ ways of exercising their rights. We made the above assertion not just for the sake of argument. Historical precedence exists to support the case we are trying to make, which is, the state can’t arbitrarily define what is “bad” regarding the citizenry’s rights to exercise its basic liberties. If no law can be made, then no definitions of what is bad or good regarding the exercise of the basic freedoms can exist. Section 1 of Article 79 of The Criminal Code stipulates only “collusion with a foreign power” and doesn’t define what is “bad” content or unlawful content. The 2013 Constitution of Vietnam still lacks an amendment equivalent to the First Amendment discussed above to stop the government from harming people who speak or acts contrary to the wishes of the government. The Vietnamese legal system still doesn’t recognize and respect the basic human rights of its citizens. To be blunt, the law as applied during the prosecution of Mr. Ngô Hào is nothing more than the law of the jungle: arbitrary, might makes rights, winner takes all. Of course, The GVN will not accept the above arguments even if they are well grounded and objective. This being the case, let us probe further and read some of Mr. Ngô Hào’s writings to see for ourselves if Mr. Ngô Hào created ‘bad’ contents. From these items, let’s pick three typical ones to review. “…Dr. Cu Huy Ha Vu’s arrest, detention, and indictment are based on his peaceful exercise of his right to information, and his right to freedom of opinion, expression, and association, enshrined in the Universal Declaration on Human Rights, and in the International Covenant on Civil and Political Rights, to which Vietnam acceded in 1982. Dr. Vu’s arrest and detention is arbitrary and unlawful, and plainly flies in the face of the 1998 UN Declaration on Human Rights Defenders, which reiterates the rights of citizens under international human rights law to criticize and protest governments’ failures to enforce human rights standard. The government has failed to answer requests and denunciation by Dr. Vu’s lawyers and family members alleging that various aspects of his arrest, police and judicial investigation, indictment, and trial have been marked by due process violations. “DON’T CALLOUSLY TURN THE PETITION INTO A JOKE. CLOSE TO 100,000 OVERSEAS VIETNAMESE HAVE SIGNED THE PETITION. THESE 100,000 PEOPLE DON’T REPRESENT THEMSELVES ONLY. THEY ALSO REPRESENT 90 MILLION VIETNAMESE INSIDE AND OUTSIDE OF THE COUNTRY. THEY ARE 100,000 HEARTS, 100,000 WISHES, 100,000 DREAMS, 100,000 ASPIRATIONS…THEY ARE 100,000 TORCHES LIT TO SHINE A LIGHT ON THE VIETNAMESE PEOPLE, 100,000 FIRES SET TO BURN, TO PUSH AWAY, TO UTTERLY DESTROY THE BRUTAL DICTATORSHIP, THE CORRUPTION, THE INHUMANITY…SO AS TO RESTORE THE TRUTH, JUSTICE, EQUALITY, AND MORALITY, TO THE PEOPLE OF VIETNAM. FOR THE SAKE OF THE PEOPLE OF VIETNAM, OF THE ENTIRE WORLD, PLEASE DON’T CALLOUSLY TURN THESE 100,000 HEARTS, BRAINS, HOPES, AND ASPIRATIONS INTO A JOKE. FOR THE SAKE OF PRESIDENT OBAMA, THE CONGRESS OF THE UNITED STATES OF AMERICA, AND FOR THE SAKE OF THE VALUES THAT WE ALL HOLD DEAR, AMONG THESE, HUMAN RIGHTS, DEMOCRACY, EQUALITY AND FREEDOM, PLEASE DO NOT HEARTLESSLY TURN THESE 100,000 HEARTS, BRAINS, HOPES, AND ASPIRATIONS INTO A JOKE. 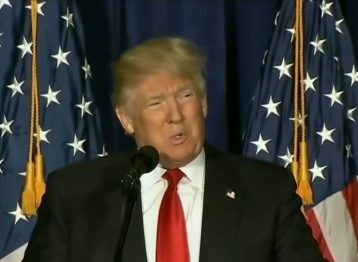 ‘IT IS VERY HARD TO BE A FRIEND OF AMERICA, IT IS VERY EASY TO BE AMERICA’S ENNEMY.’ DON’T BE AFRAID. DON’T TURN INTO A FLATTERER WHEN COMFRONTED WITH INJUSTICE AND VIOLENCE. HURRAH FOR THE 100,000 SIGNATURES FROM THE VIETNAMESE COMMUNITY. HURRAH FOR THE VIETNAMESE PEOPLE, DESCENDANTS OF DRAGONS AND FAIRIES AND A PEOPLE WITH 4000 YEARS OF HISTORY! 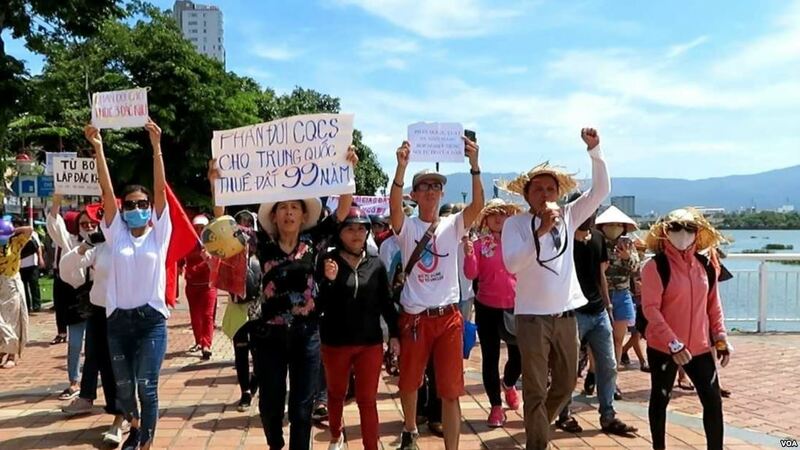 HURRAH FOR THE VIETNAMESE PEOPLE WHO HAVE COURAGEOUSLY STOOD UP TO OPPOSE THE VIOLENCE, THE CORRPUTION, THE BRUTALITY, THE DICTATORSHIP, THE CRUELTY, THE GREED, THE EVIL NATURE, AND THE UNHUMANITY OF THE BLOODTHIRSTY CLIQUE IN THE NORTH. HURRAH FOR THE 100,000 SIGNATURE THAT DARED TEST THE WILL OF PRESIDENT OBAMA AND THE CONGRESS OF THE UNITED STATES! ‘EXTREMELY URGENT – GOOD NEWS: US PRESIDENT B. OBAMA & US CONGRESS WILL MEET A VIETNAMESE DELEGATION AT THE WHITE HOUSE AND CONGRESS. SOS – PLEASE SAVE 90 MILLION VIETNAMESE QUICKLY. THESE 90 MILLION VIETNAMESE ARE THE PEOPLE THAT THE CRUEL NORTHERN REGIME OPPRESSED, TERRORIZED, SURROUNDED, BEAT UP, STARVED, ROBBED OF ALL POSSESSIONS INCLUDING RICE FIELDS, ORCHARDS, LAND AND HOUSES. THEY ARE ALSO RELIGIOUS INSTITUTIONS LOSING THEIR PAGODAS, CHURCHES, SCHOOLS AND ORPHANAGES. THEY ARE RELIGIOUS LEADERS WHO CAN’T LIVE ACCORDING TO THE DICTATES OF THEIR HEART, THEIR FAITH, AND THE WAY AS TAUGHT TO THEM BY THE FOUNDER OF THEIR RELIGION TO PREACH TO THE PEOPLE ABOUT LOVING AND CARING FOR EACH OTHER AND DOING GOOD DEEDS, MORALITY, LOVE, TRUTH, AND RIGHTEOUSNESS. AS A RESULT, MORALITY IS NOW CORRUPTED AND THE VIETNAMESE PEOPLE IS EXHAUSTED ECONOMICALLY. THE COMMUNIST PARTY OF VIETNAM PROPAGANDIZES THAT THE PEOPLE MUST LIVE AND WORK ACCORDING TO THE CONSTITUTION AND THE LAW. BUT IN REALITY, THE COMMUNIST PARTY OF VIETNAM USES ONLY THE LAW OF THE JUNGLE. THE PARTY ROB PEOPLE OF THEIR WORLDLY POSSESSIONS, TAKE OVER PAGODAS, ROB HOUSES, ROB LAND, ROB RELIGION AND TAKE AWAY FROM 90 MILLION VIETNAMESE THEIR EQUALITY, FREEDOM, FREEDOM OF THE PRESS, FREEDOM OF SPEECH, FREEDOM OF RELIGION. DEAR ALL!!! LIKE MUSICIAN VIỆT KHANG…MR. ĐOÀN VĂN VƯỢNG IN HẢI PHÒNG…RELIGIOUS DIGNITARIES, ESPECIALLY BELIEVERS AND LEADERS THE HÒA HẢO BUDDHIST FAITH, ARE BEING BEATEN, FALSELY ACCUSED, TERRORIZED, FRAMED FOR PROSECUTION WITHOUT ANY LOGIC AND SENT TO PRISON, JUST BECAUSE THEY ARE DOING CHARITABLE WORK. IN VIETNAM THERE ARE 90 MILLION PEOPLE, YET 40 MILLION OF THEM ARE JUST LIKE MR. ĐOÀN VĂN VƯƠN. 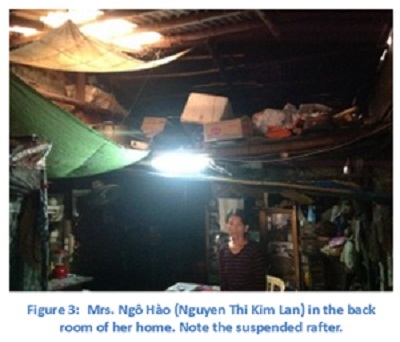 VIOLATIONS ARE EVERYWHERE, IN EVERY HAMLET, DISTRICT, PROVINCE AND NOT JUST IN HẢI PHÒNG. ALL OF YOU! PLEASE CARE ABOUT AND REACH OUT TO SAVE 90 MILLION VIETNAMESE WHO ARE UNABLE TO SPEAK UP DEFEND THEMSELVES BECAUSE OF THEIR LOW POSITIONS. MAY HEAVEN HEAR THEIR PLEAS!!! OH, PLEASE LISTEN, PEOPLE. PLEASE SUBMIT PHOTOS AND INTERVENE. THE BALAMẬT PAGODA LOCATED AT HILL 47 IN ĐỒNG NAI AND ADMINISTERED BY VENERABLE THÍCH NHẬT BAN – A MEMBER OF THE UNITED BUDDHIST CHURCH OF VIETNAM – IS A CASE IN POINT. STARTING IN 1975, THE GOVERNMENT CONFISCATED THE LAND BELONGING TO THE PAGODA, JAILED, SURROUNDED AND TERRORIZED ITS MEMBERS. THE PHOTO BELOW (ATTACHMENT INCLUDED IN THIS FILE). SHOWS THAT THE PAGODA, WHICH IS THE TEMPORARY RESIDENCE OF THE VENERABLE, IS DAMAGED AND CRUMBLING. YET THE COMMUNIST GOVERNMENT OF VIETNAM REJECTED ALL APPLICATIONS FOR THE PERMISSION TO FIX UP THE PAGODA. PLEASE INTERVENE ON BEHALF OF THE PAGODA, PLEASE PROVIDE SUPPORT TO ALLOW REPAIRS FOR THIS PLACE OF WORSHIP. The above post, written in a highly emotional style, denounces the crime committed by the GVN. To any Vietnamese or anyone who follows Vietnam in the news, nothing Mr. Ngô Hào mentioned in his post is false or overboard. The fact is Mr. Ngô Hào didn’t write anything new. He didn’t write anything that wasn’t written or spoken about in thousands of Vietnamese language websites and weblogs. There, everyday, one can read tens of thousands of posts similar to what Mr. Ngô Hào wrote. These posts use languages much more insulting to the GVN and the party leaders than Mr. Ngô Hào’s. All we need to do is look at the articles and associated comments posted at popular websites such as Dân Làm Báo or Đàn Chim Việt. If ‘bad’ contents as defined by the GVN can be found everywhere on the web, then the following questions must be asked. Why the GVN, a government that claims to be just and impartial, didn’t lift a finger to prosecute all the creators of these “bad” contents? Were such contents not “bad” enough? And why did it pick on Mr. Ngô Hào only? Could it be simply because GVN knows only the law…of the jungle? What Mr. Ngô Hào wrote is well within his rights. The right to criticize the government and its leaders is an inherent component of the right to free speech. 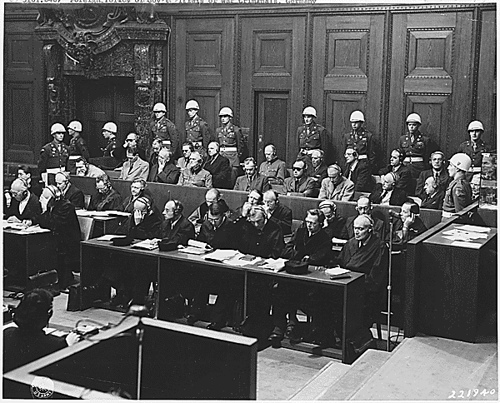 The constitutions of all democracies – such as the US, France, Germany, the Netherlands and Sweden, for example – guarantee such a free speech right. 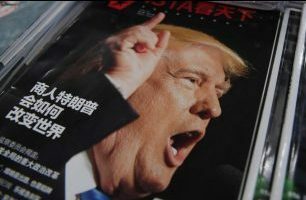 In these countries, websites and newspapers publish stories that expose, caricature and make jokes about the heads of state, big shot politicians and party leaders daily. Everyone can view, read and comment on these stories. The Constitution of Vietnam recognizes that its citizens have the freedom of speech and the freedom of thought. Vietnam is a country that ratified the UN Human Rights Charter and several other covenants on human rights, civil rights and political rights. So whatever Mr. Ngô Hào wrote is well within his rights, and it is the GVN who must do what it can to protect Mr. Ngô Hào’s rights to write. What the GVN can’t do is to repress, oppress, beat up and throw rotten fish and stones into the home of people who are defending human rights for all Vietnamese. When viewed in the above context, the GVN’s decision to prosecute Mr. Ngô Hào for creating “bad contents” is absurd. This decision also exposes the deep fear the GVN has for people like Mr. Ngô Hào and the entire Vietnamese people. Group 8046 and the government in exiles are not “foreign countries” and they don’t have any capability to “overthrow” the GCN. The charge that Mr. Ngô Hào went into the forests of Southern Vietnam searching for 40 weapon containers is delusional. From an information technology point of view, it is simply impossible for Mr. Ngô Hào to store, disseminate, and transfer these contents. The contents that Mr. Ngô Hào produced can’t be characterized as “bad’ because when doing so, the GVN tramples upon all the basic human rights that Mr. Ngô Hào is entitled to and thus plays according to the laws of the jungle. If style makes the man, if the Word is to carry the Way, in just the three short postings that we highlighted, Mr. Ngô Hào has fully revealed his true self. He a humanist. He is citizen of the world who is fighting with all his might to defend the eternal values of humankind: “LIVE KINDLY AND HARMONIOUSLY WITH OTHERS, ABIDE BY MORAL LAWS, LOVE, TRUTH, JUSTICE”. He is truth teller. 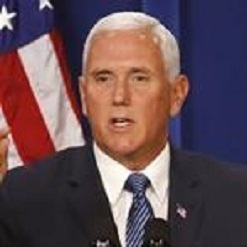 He is a Vietnamese who witnessed, refused to accept, and decided to denounce the errors of a government that only knows how to and only wants to “REPRESS, CENSORS, TERRORIZE, BEAT UP, AND STARVE THE PEOPLE; STEAL THEIR PROPERTIES, CULTIVABLE LAND, HOUSES, AND PLACE OF WORSHIPS, AND SUPPRESS ALL RELIGIONS”. And lastly, he is a man of faith. He is a devout Buddhist who didn’t hesitate for one second to defend a monk, a member of the Unified Buddhist Church of Vietnam whose “PAGODA AND ADJOINING LAN ARE BEING STOLEN, WHO SINCE 1975 HAS BEEN INCESSANTLY JAILED, BEATEN UP, SURROUNDED, AND TERRORIZED”. A man like him, a man who lives such a righteous life, a man who speaks such righteous words, a man such as Mr. Ngô Hào, can only be an innocent man. Wherever he lives on this wretched earth. We are now entering the first days of April 2014. Spring is coming. The 40-year odyssey of Lieutenant Ngô Hào, ARVN dog tag No. 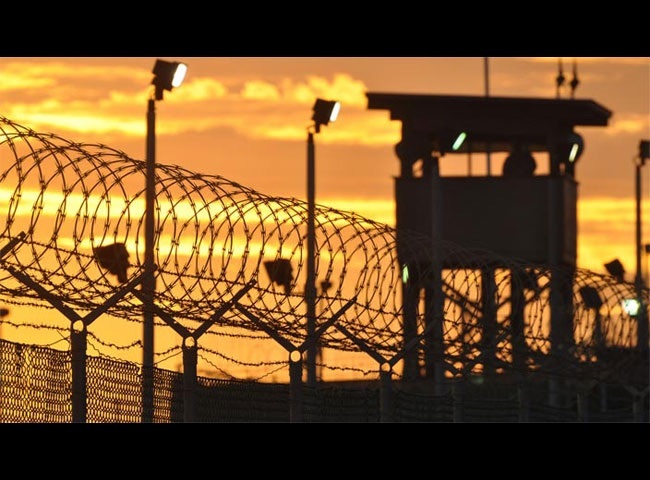 73/420439 has now come to a brutal and temporary stop in a communist prison camp in Phú Yên Province. Are you still healthy there, in the harsh captivity you must endure? Is your spirit still high? Or is it very low? Have you found and take refuge in the Three Jewels of the faith of his youth? Have you found the indestructible Buddha that always lives in your heart, in everyone’s heart? Were your wife and sons, or your friends and relatives, able to visit you? And did they bring you food and necessities? Did any fellow soldier from ARVN Infantry Division 22, the division that “Pacifies the Mountains and Guards the Oceans” came by to offer you solace, to hold your hand and perhaps make a last roll call? Did any of your comrades in arms from any and all branches of ARVN now dispersed to the four corners of this earth helped you and your family out? And did any the soldiers from the seven nations – the United States of America, South Korea, Australia, Thailand, New Zealand, Cambodia, and Laos – men who once upon a time so long ago were allies helping you defend the freedom of South Vietnam and her people, did any one of these soldiers had a kind word for you? And of the soldiers of the legendary Gold Star Division, who once upon a time so long ago fought you and killed most of your comrades in arms and vice versa, would there be one, just one, who would realize that the true and final meaning of all the battles in which you fought was to preserve the freedom of all Vietnamese regardless of where they were from, North or South, and thus would visit you, as old soldiers from both sides are wont to do in their blessed old age, when the tender grass and the wild flowers blossoming and blowing in the wind have long blurred and erased the battle lines, and before the graveyard beckon all to come home to their eternal resting place? Let’s pray that they all will do what they could and should. Let’s pray that Lieutenant Ngô Hào will never lose his faith and with not despair, because what us mere mortals can do for him is limited, whereas God’s will be infinite, just and fair, and because God’s will shall always be done. Let’s each one of us, we who own a debt of gratitude to Mr. Ngô Hào for all that he and his family have done and endured for us, express our heartfelt thanks to Mr. Ngô Hào and his family, and above all, take in and share his dreams, renew the pledge to keep alive forever in our heart the dream of a free and independent Vietnam that will truly respect the human rights of all her citizens, and to work hard and do everything possible to make that dream a reality. We must do so, because one day in December 2013, there was an old man with white hair who, on behalf of all of us Vietnamese, locked eyes with his judges and tormentors and gave them a faint and defiant smile – the smile on the abyss between life and death of man with no fear in his heart and of a country being reborn again. Ghosh, Palash. 2013. “Vietnam: A Police State Where One-In-Six Works for Security Forces.” International Business Times, August 29, 2013. Internet: http://www.ibtimes.com/vietnam-police-state-where-one-six-works-security-forces-1401629 . Accessed on 3/11/2014. Vietnam Human Rights Defenders. 2013. “Bản Án Của Ông Ngô Hào” (“Mr. Ngô Hào Sentence”). Internet: http://vietnamhumanrightsdefenders.net/2013/09/18/ban-an-cua-ong-ngo-hao/ Accessed on 3/11/2014. Data on the number of men serving in ARVN Army Division 22 are hard to come by. This is true for all army units, be it from the North or the South. ARVN is organized according to the US system whereby a battalion has 300-1,000 men, a regiment has 2 to 5 battalions or 600 to 5,000 men, a division has 3 to 5 regiments or 1,800 to 25,000 men. Besides these units, there are also fighting and non-fighting units attached directly to the division such as armor, artillery, medical, engineering, etc…We know that Army Division 22 had 4 regiments, 5 battalion (3 armor, 1 artillery, 1 medical), so the smallest number of men it may have is 3,900 (2 x 300 x 4 + 5 x 3000) and the highest is 25,00 (5x1000x4 + 5 x1000), so that 20,000 men is a reasonable number of soldiers within its ranks. Quân Sử Sư Đoàn 22 Bộ Binh/ 2012 (A Military History of ARVIN AD 22 – 2012). Internet. http://www.vnmilitaryhistory.info/quansuvnch/quan-su_su-doan-22-bo-binh.htm. Accessed on 3/11/2014. Lt. General Ngo Quang Truong. 1980. “Indochina Monograph: The Easter Offensive of 1972”. US Army Center of Military History. Internet: http://webcache.googleusercontent.com/search?q=cache:0lD26joopUsJ:www.dtic.mil/cgi-bin/GetTRDoc?AD%3DADA324505+&cd=8&hl=en&ct=clnk&gl=us . Accessed on 3/11/2014. The number of 15,000 KIA sustained by ARVN AD 22 during the retreat from the Highland is based on a testimony from General Cao Van Vien, Chairman of the RVN Joint Chief of Staff (see Footnote 7 of Reference 7, above). According to Gen. Vien, at leat 45,000 out of 60,000 soldiers, or 75%, of Army Corp II were killed during the retreat from the Highland. Applying the same ratio of 75% to ARVN AD 22, which belonged to Army Corp II and which had 20,000 soldiers yielded the number of KIA as 15,000. Đinh Quan Anh Thái (Viet Tide). 2007 “Đinh Quan Anh Thái (VietTide) Phỏng vấn Dương Thu Hương” (“Interview with Ms. Dương Thu Hương by Đinh Quang Anh Thái”). Internet repost: http://ngoclinhvugia.wordpress.com/2011/05/04/d%C6%B0%C6%A1ng-thhu-h%C6%B0%C6%A1ng-toi-khoc-ngay-30-4-vi-th%E1%BA%A5y-n%E1%BB%81n-van-minh-da-thua-ch%E1%BA%BF-d%E1%BB%99-man-r%E1%BB%A3/ .Accessed on 3/11/2014. Wikipedia. 2014. “Học Tập Cải Tạo” “(“Re-education”). Internet: http://vi.wikipedia.org/wiki/H%E1%BB%8Dc_t%E1%BA%ADp_c%E1%BA%A3i_t%E1%BA%A1o . Accessed on 3/11/2014. Hệ Thống Văn Bản Quy Phạm Pháp Luật. 2014 “Hiến Pháp Nước Việt Nam Dân Chủ Cọng Hoà Ngày 31 Tháng 12 1959” “the December 31, 1959 Constitution of the Democratic Republic of Vietnam”) Internet: http://www.moj.gov.vn/vbpq/Lists/Vn%20bn%20php%20lut/View_Detail.aspx?ItemID=890 .Accessed on 3/11/2014. Dòng Chúa Cứu Thế. 2013. 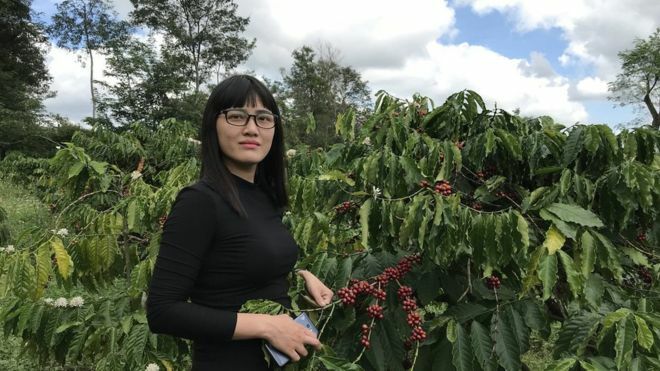 “Bà Nguyễn Thị Kim Lan: Ông Ngô Hào lên tiếng, giúp đỡ người bị oan, bị đàn áp tôn giáo” (“Redemptorist Church: “Mrs. Nguyễn Thị Kim Lan: Mr. Ngô Hào spoke up, helped the unjustly accused, the persecuted because of their religion””) Internet: http://www.chuacuuthe.com/2013/12/ba-nguyen-thi-kim-lan-ohg-ngo-hao-len-tieng-giup-do-nguoi-bi-oan-bi-dan-ap-ton-giao/ .Accessed on 3/11/2014. Phạm Minh Hoàng. 2013. “Chuyện từ Những Học Trò”. (“Tales from the School Children”) Internet: http://danlambaovn.blogspot.com/2013/12/chuyen-tu-nhung-hoc-tro.html#more .Accessed on 3/11/2014. Huỳnh Thục Vy. 2013. “Vợ Ông Ngô Hào: Vợ ông Ngô Hào – Nạn nhân của sự vi phạm Nhân quyền nghiêm trọng”. (“Mr. 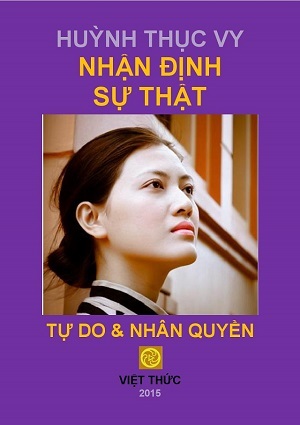 Ngô Hào’s Wife: A victim of severe human rights violations”) Internet: http://vnwhr.net/2013/12/07/vo-ong-ngo-hao-nan-nhan-cua-su-vi-pham-nhan-quyen-nghiem-trong/ .Accessed on 3/11/2014. Internet World Stats. 2014. “Vietnam Internet Usage Stats and Marketing Report”. Internet: http://www.internetworldstats.com/asia/vn.htm Accessed on 3/11/2014. Hệ Thống Văn Bản Quy Phạm Pháp Luật. 2014. “BỘ LUẬT HÌNH SỰ CỦA NƯỚC CỘNG HOÀ XÃ HỘI CHỦ NGHĨA VIỆT NAM SỐ 15/1999/QH10” (“Criminal Code of the Socialist Republic of Vietnam”) Internet: http://www.moj.gov.vn/vbpq/Lists/Vn%20bn%20php%20lut/View_Detail.aspx?ItemID=6163 . Accessed on 3/11/2014. Khối 8046. 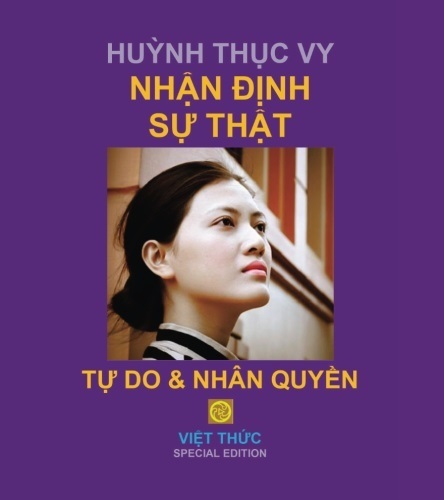 “Tuyên Ngôn Tự Do Dân Chủ Cho Việt Nam 2006” (“Block 8046 Delcaration of Freedom and Democracy for Vietnam”). Internet: http://cacvankiencoban.blogspot.com/2008/03/tuyenngontudodanchu2006.html . Accessed on 3/11/2014. Hệ Thống Văn Bãn Quy Phạm Pháp Luật. 2014. “HIẾN PHÁP NƯỚC VIỆT NAM DÂN CHỦ CỘNG HOÀ – (QUỐC HỘI NƯỚC VIỆT NAM DÂN CHỦ CỘNG HOÀ THÔNG QUA NGÀY 9-11-1946)” (“Constitution of the Democratic Republic of Vietnam”) Internet: http://www.moj.gov.vn/vbpq/Lists/Vn%20bn%20php%20lut/View_Detail.aspx?ItemID=536. Accessed on 3/11/2014. Hệ Thống Văn Bãn Quy Phạm Pháp Luật. 2014. HIẾN PHÁP NƯỚC CỘNG HÒA XÃ HỘI CHỦ NGHĨA VIỆT NAM”. (“Constitution of the Socialist Republic of Vietnam”) Internet: http://www.moj.gov.vn/vbpq/Lists/Vn%20bn%20php%20lut/View_Detail.aspx?ItemID=28814 . Accessed on 3/11/2014. Cựu Tù Nhân Lương Tâm Việt Nam. 2014. “68 Thành viên Sáng lập – 68 Founding Members”. Internet: http://fvpoc.org/founding-members-thanh-vien-sang-lap/ . Accessed on 3/11/2014. Chính Phủ Quốc Gia Việt Nam Lâm Thời. 2014 “Thông Báo Cấp Thẻ Tín Dụng Cho Người Việt Nam” (“Announcement on the granting of Credit Card to Vietnamese”). 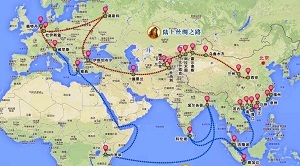 Internet: http://www.chinhphuquocgia.com/191995676 . Accessed on 3/11/2014. Nguyễn Duy Hinh. 2001. “Phúc Trình Hai năm tham dự tổ chức “Nguyễn Hữu Chánh” (Report on 2 years participating in the Nguyen Huu Chanh Organization”). 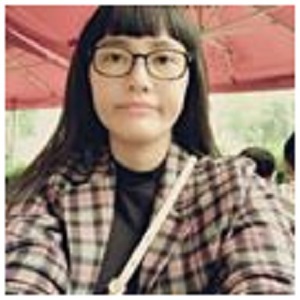 Internet: http://ngothelinh.150m.com/NDH_NHC.html . Accessed on 3/11/2014. Hội Quán Phi Dũng. 2010. “Nhóm Chíng Phủ VNCH Muốn Phục Hồi Hiệp Định Paris” (“A Government of the Republic of Vietnam Group Wants to Restore the Paris Accord”). Internet: http://hoiquanphidung.com/showthread.php?3531-Nh%C3%B3m-%E2%80%98Ch%C3%ADnh-ph%E1%BB%A7-VNCH%E2%80%99-mu%E1%BB%91n-ph%E1%BB%A5c-sinh-Hi%E1%BB%87p-%C3%90%E1%BB%8Bnh-Paris . Accessed on 3/11/2014. Người Việt. 2012. “Hội thảo khôi phục VNCH theo Hiệp Ðịnh Paris 1973” (“A Symposium on Re-establishing the Republic of Vietnam According to the 1973 Paris Accord”). Internet: http://www.nguoi-viet.com/absolutenm2/templates/viewarticlesNVO.aspx?articleid=144907&zoneid=3#.UyHC4vldVul. Accessed on 3/11/2014. Nguyễn Quốc Khải. 2011. “Sự thật phũ phàng về Hiệp định Paris 1973” (“The disconcerting Truth about the P1973 Paris Accord”). Internet: http://www.rfa.org/vietnamese/in_depth/readersopinions-nqk-12172012160001.html . Accessed on 3/11/2014. Nguyễn Quốc Khải. 2013. 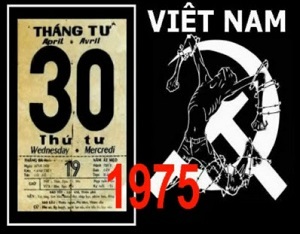 Phục Hồi Hiệp Định Paris 1973: Hoang Tưởng Hay Hiện Thực? (“Restoring the 1973 Paris Accord: Delusional or Realistic?”) Internet: http://www.vietvungvinh.com/2013/index.php?option=com_content&view=article&id=2564:phuc-hoi-hiep-dinh-paris-1973-hoang-tuong-hay-hien-thuc&catid=72:tham-luan&Itemid=130 Accessed on 3/11/2014. Nguyễn Ngọc Bích. 2013. 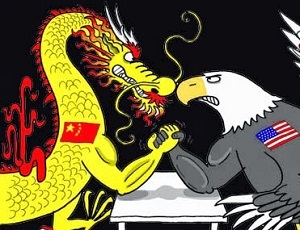 “Giải-pháp VNCH: “Hoang-tưởng,” “Vô vọng” hay chỉ là Khó?” (“The Republic of Vietnam Solution: Delusion, Hopeless, or just Difficult?”) Internet: http://vietvungvinh.com/2013/index.php/index.php?option=com_content&view=article&id=2630:giai-phap-vnch-hoang-tuong-vo-vong-hay-chi-la-kho&catid=72:tranh-luan&Itemid=130 . Accessed on 3/11/2014. Stephen Daggett. 2010. “Costs of Major U.S. Wars”. Internet: https://www.fas.org/sgp/crs/natsec/RS22926.pdf . Accessed on 3/11/2014. Leland, Ann; Oboroceanu, “M-J” Mari-Jana. “American War and Military Operations Casualties: Lists and Statistics” Internet: http://en.wikipedia.org/wiki/United_States_military_casualties_of_war . Accessed on 3/11/2014. Seabox. 2014. “One Full Side Opening & Double Doors One End 20’ X 8’6” Dry Freight ISO Cargo Container”. Internet: http://www.seabox.com/catalog/flyers/sb890.6.pdf. Accessed on 3/11/2014. To protect the sources who provided samples of Mr. Ngô Hào’s posts, the author will not provide their names. Embassy of The United States of America, Hà Nội, Việt Nam. 2014. “The Constitution of the United States of America” http://vietnamese.vietnam.usembassy.gov/doc_uslegalsystem_x.html. Accessed on 3/11/2014. Human Right Watch. 2011. 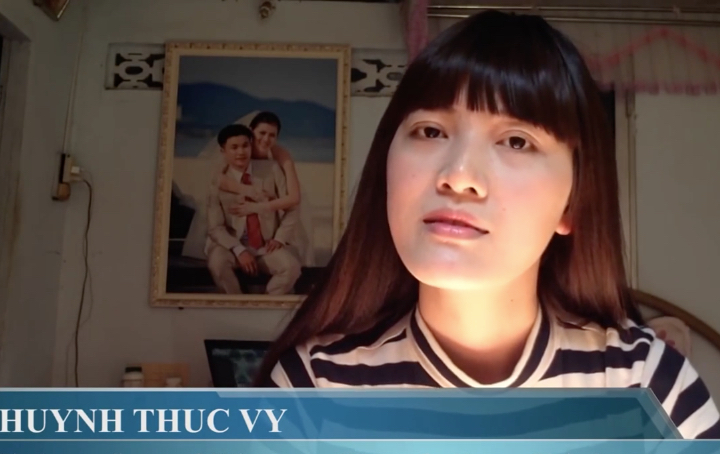 “Vietnam; The Party against Legal Activist Cu Huy Ha Vu – Recommendations.” Internet: https://www.hrw.org/report/2011/05/26/vietnam-party-vs-legal-activist-cu-huy-ha-vu Accessed on 3/11/2014. 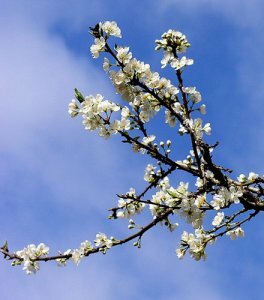 TS Phan Văn Song: Một Ngôi Sao Đang Rụng? Aung San Sưu Kyi còn xứng đáng với giải Nobel Hòa Bình không ?